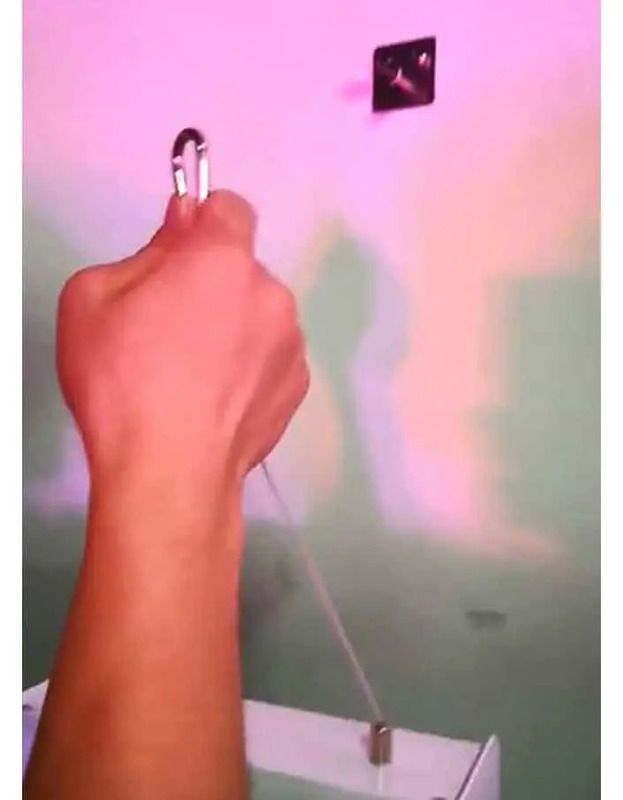 Are you interested in photomodulation that is always at hand? Order this equipment to follow you everywhere, at weekends, at the hotel, during your business trips. Don’t interrupt your daily sessions anymore. Lightweight, this mobile equipment features LED technology with multiple aesthetic and sporting applications. 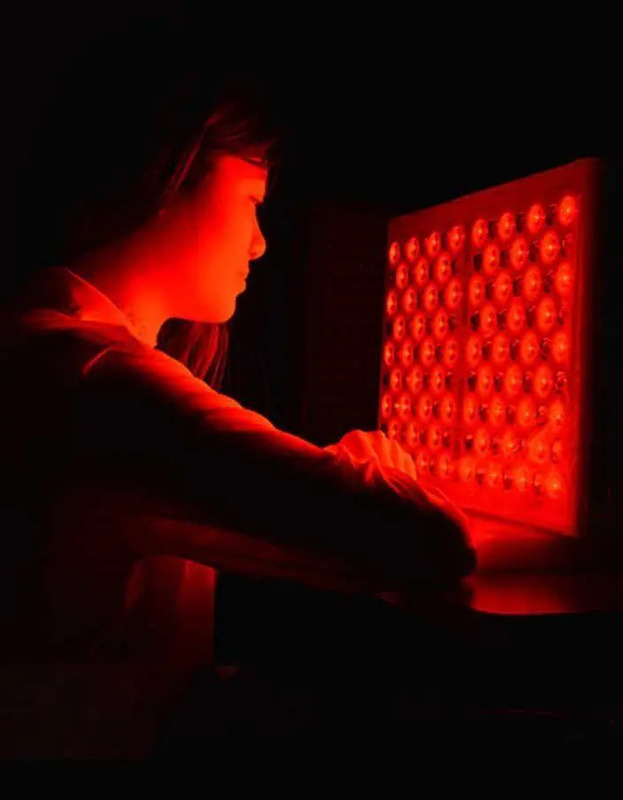 Your red and infrared LED panel is the agile solution for your phototherapy sessions. 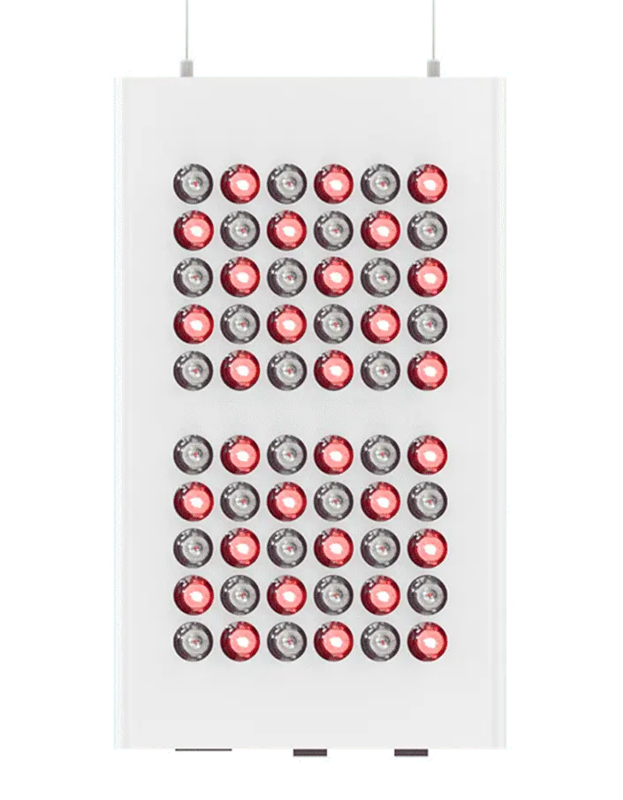 Composed of 60 red and infrared LEDs, it is easy to hang on to and plugs into a simple electrical outlet. Start your treatment sessions as soon as you have a free moment, without constraint, the device is ready in a few seconds. Maintenance-free, it is robust, reliable and safe for your skin. Treat yourself to a few moments of care, remedy the harmful effects of time and the aggressions of ambient air pollution on your epidermis. 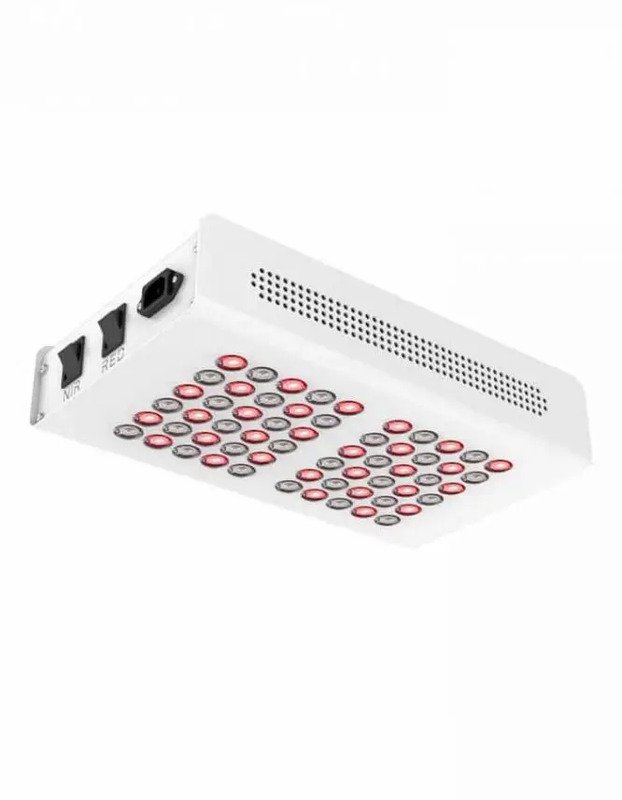 Your infrared led device has 30 red and 30 infrared leds. The available irradiance surface allows you to expose your face, scalp, hands, to any other part of your body that you would like to treat in isolation. Its small size gives you the opportunity to take it anywhere (38 cm x 21 cm x 7.5 cm). With a power of 300 watts, it is equipped with a hanging system and integrated ventilation. 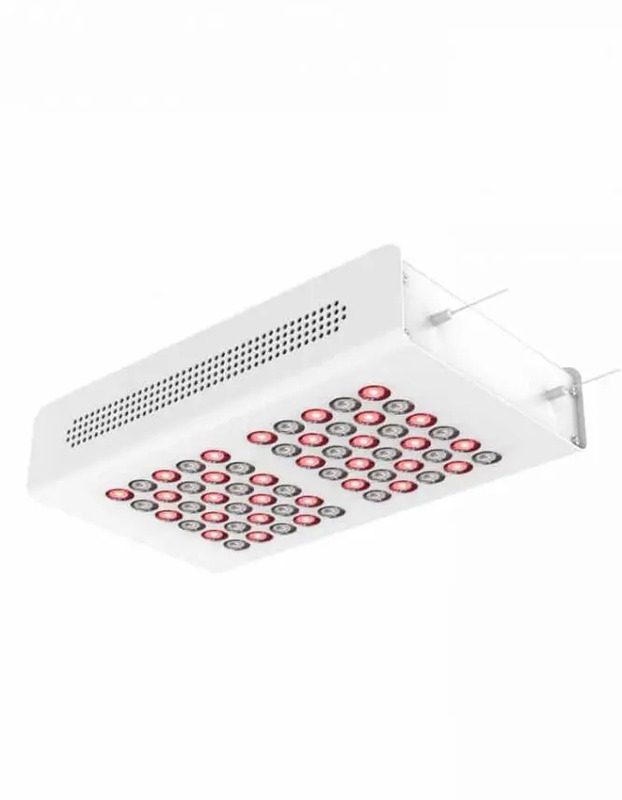 The exceptionally long life span of the red and infrared LEDs (50,000 hours) is a guarantee that you can create a long-term treatment program (150,000 sessions). Delivered within 5 to 8 days, start your sessions quickly as soon as you have placed your order. 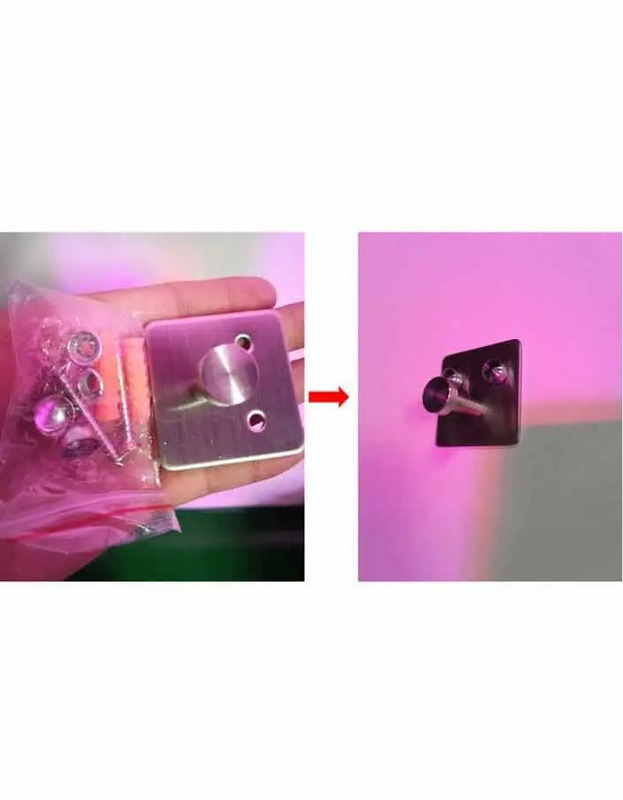 Which LED colors for your infrared LED panel? It is the red colour that is most commonly used in dynamic phototherapy. Its wavelength – 660 nm – has proven its healing and regenerative properties. The light produced by the red led is hot but does not heat up. The wavelength allows the luminous flux to produce a natural reaction that activates reconstruction, through the production of collagen and fibroblast. The infrared led is perfectly complementary to the red led. Its wavelength – 850 nm – allows the luminous flux to penetrate deep into the dermis and hypodermis. Its main effect is the regeneration of tissues, the acceleration of healing, the reduction of stretch marks. Used by the medical community, infrared light repairs cells without attacking them. Treat the three layers of your skin with the infrared LED panel. It can be used in addition to the red LED panel wall or the 180 red and infrared LED column. You have access to fast treatment, high speed cell reconstruction, without risk, while benefiting from the well-being effects of the sessions. By exposing yourself to red and infrared leds for 20 minutes a day, you will improve your skin density. Your skin will be brighter, and its pores will be tightened. Photomodulation ensures anti-aging prevention and offers a rejuvenation bath to your tissues.